Who Are We in the New Year? We’re well into January now, and most of us are falling into the routines that will characterize life in 2018. (Maybe they’re the exact same as our 2017 routines!) We call this the “New Year,” although for diversity’s sake, it’s worth noting that there are a variety of “New Years” to choose from. Christians of course celebrate Christmas, celebrating the birth of Jesus while adopting various elements of older pagan festivities. Jews celebrated Rosh Hashanah as the start of the New Year back in September. Muslims also hold New Years celebrations in September, marking the start of Muharram. The Chinese, like Jews and Muslims, determine the date of the New Year from an ancient lunar calendar – but end up celebrating the holiday in February! My personal fancy is to celebrate New Years on the Perihelion – falling somewhere between January 2 and January 4 – the day the Earth passes closest to the sun. 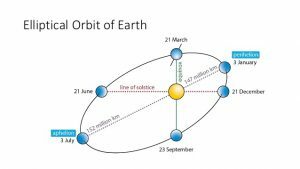 The date of perihelion varies due to the eccentricity of the earth’s orbit. Regardless of which holiday aligns with one’s particular tradition, we all live under the same sky, and we all seem to have a point we mark for celebrating a new beginning. Speaking of eccentricity: Did you make a new years resolution? I did. I love the ritual of making resolutions. It offers a chance to step back and look at the big picture: Where do I want to be going in my life? What is my niche in the world? What do I need to change to become more healthy, effective, and fulfilled? These are perfect questions for fostering one’s growth. But what’s behind a resolution? Most aren’t kept. Too often, they reflect wishful thinking, or perhaps a desire for change not backed up by action. Or maybe we make them to be part of the party, one of the cool kids. The root of the word resolution is resolve, and for a resolution to be genuine it also must be based upon resolve. 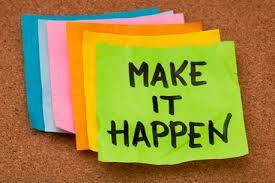 If you are not truly resolved to do something, it won’t happen. Unless, of course, the change is easy – in which case you probably did it. Resolve separates a desire from a pledge; it is an intention that carries weight. What gives it weight is that it emerges from the corner of the soul hearing the call of change, into the form of an intention gone public. It becomes attached to actions that can be observed, counted, tracked. It exposes itself to accountability. That exposure is what makes it embarrassing to not fulfill a resolution, and it’s why many people don’t make resolutions public. We know that a commitment made public is more likely to be honored. One study on this subject was conducted by psychologist Dr. Gail Matthews, who recruited subjects from businesses and organizations to set goals and outline the steps needed to reach those goals. Subjects were then randomly assigned to one of several categories. One group was simply asked to form a plan to reach their goals; another was directed to communicate those plans to others; a third was expected to report weekly on their progress. Those whose goals were more public or received higher scrutiny were significantly more likely to achieve them. Making commitments public is one reason weddings are celebrated with so much fanfare: When the entire community helps celebrate, it adds weight to the couple’s vows. Such a commitment becomes part of the community. It reinforces our collective identity, building upon the reciprocity between individuals and their social context. As social beings we are each a character in a collective story. Reflection and action form the drama that make that story compelling. When I make a commitment to use my bicycle more and my car less, I’m not just pursuing a self-centered fitness plan. I’m shifting the ecological footprint of my community one tiny notch toward sustainability. And when I take steps to become a more effective citizen, I’m not just finding ways to shift the political world toward my beliefs, I’m nudging our democracy toward a greater level of participation. The reflective moment that accompanies a genuine commitment provides an opportunity for learning. The Quakers practice what they call “clearness,” wherein community members gather to reflect together and share thoughts prior major major decisions. This effort does not preclude any specific outcome, but it maximizes the learning that can be gleaned through the decisional process. Conscious reflection thus enhances learning. Taking time to explicitly reflect, and then resolve to take action, forms a key part of a meaningful life. And as our meaningful lives entwine, they become the story of our evolving community. 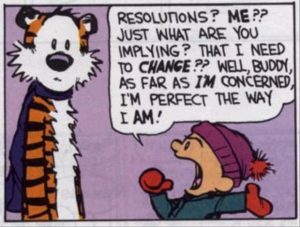 So: who have you shared your New Year’s resolution with? And who might be touched by it? Parenting Tip: Kids who develop the practice of conscious reflection learn by modeling and by being encouraged to participate in it. 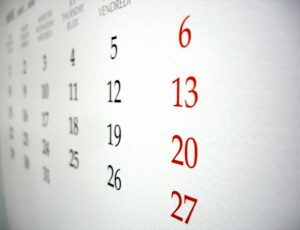 Pick a regular, periodic time of the week or month to have a family reflective discussion. Hold this discussion in a place different from where you usually converse, to highlight the fact that it isn’t a business-as-usual talk. Choose a topic that’s relevant for your kids – and be open to topics that they propose, too. Set expectations: This is not problem solving or debate; nothing needs to be decided; any opinion is welcome, and everyone agrees to withhold judgment for the sake of discussion. Be sure to do more listening than talking, and be ready to hear opposing views. See what happens!